Hope you all are doing fine. So I'm back with skincare today and I feel skincare products are most neglected by a lot of us. Sometimes we end up using any random soap be it any soap with harsh chemicals which would cost reasonably cheap and smells good. But do we ever think of the effect that it leaves behind on our skin? Nahh!! So I'm going to share with you'll some of my most favorites and also universally adored products which are very natural and beneficial to our skin. 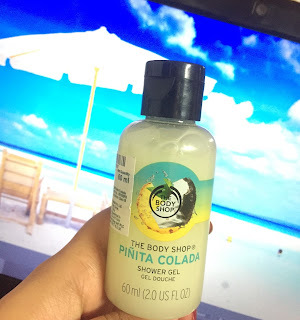 Don't settle for anything less and henceforth I always think that The Body Shop is one hell of a destination for a wonderful skin that anybody would crave for. The Body Shop carries a wide range of products for the body, face, hair and home. Their products are "inspired by nature" everything is so natural especially their fragrances are just unbeatable. They are a little on the pricey side but every penny is worth buying their products. 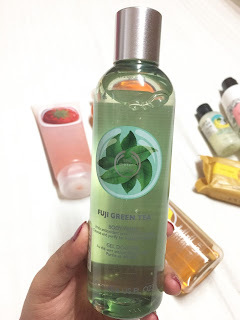 The Body Shop Fuji Green Tea Body Wash.
Revive your mind, body and soul with the Fuji Green Tea Body Wash. 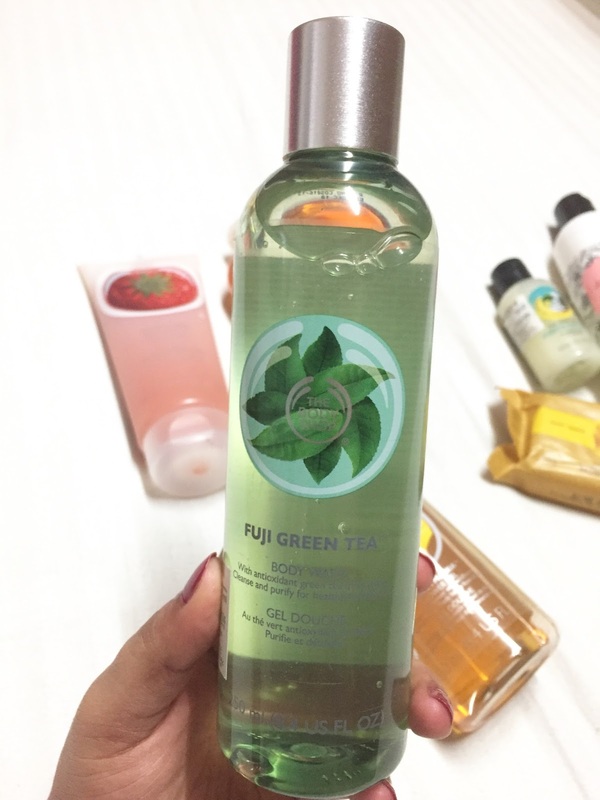 It has a crisp and refreshing scent of Fuji Green Tea. 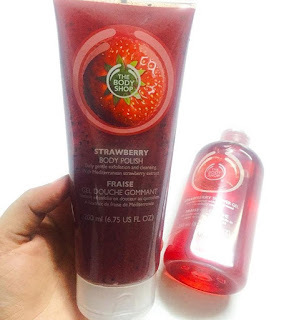 The Body Shop Strawberry Shower Gel, Strawberry Body polish. My most purchased products from TBS are these ones. I started using them since when I was in 8th grade and still its the most favorite scent and the product. they are very gentle on skin and the scent remains all day long if used along with the strawberry sorbet. 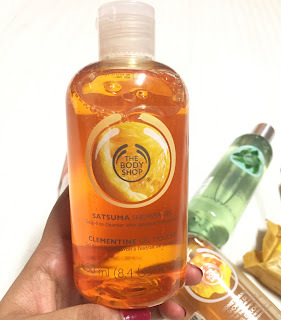 The Body Shop Satsuma Shower Gel. This is one of the most Running products after the strawberry shower gel. My husband steals it all the time, Men like it too as in its pretty unisex and they'll want to use it themselves. It very refreshing and smells natural. Its suitable for normal to oily skin type. The Body Shop Pinita Colada Shower Gel. It has a delicious tropical scent, blend of citrus and sweet fragrance. Distinctly smell Pineapple and Coconut which is an amazing thing. Think of Pina Colada and you are instantly transported to a dreamy land. TBS Pinita Colada shower gel does the same. One whiff and you’ll fall in love. The Body Shop Honeymania Shower Gel, Soap- Savon. It contains Community Fair Trade honey made from the nectar of thousands of wildflowers. It smells heavenly and its my current obsession. This shower gel is perfect for fall, its very hydrating and suitable to all skin types. The soap is equally good and also works like a candle that spread its fragrance throughout in the bathroom. The Body Shop Strawberry Body Sorbet. 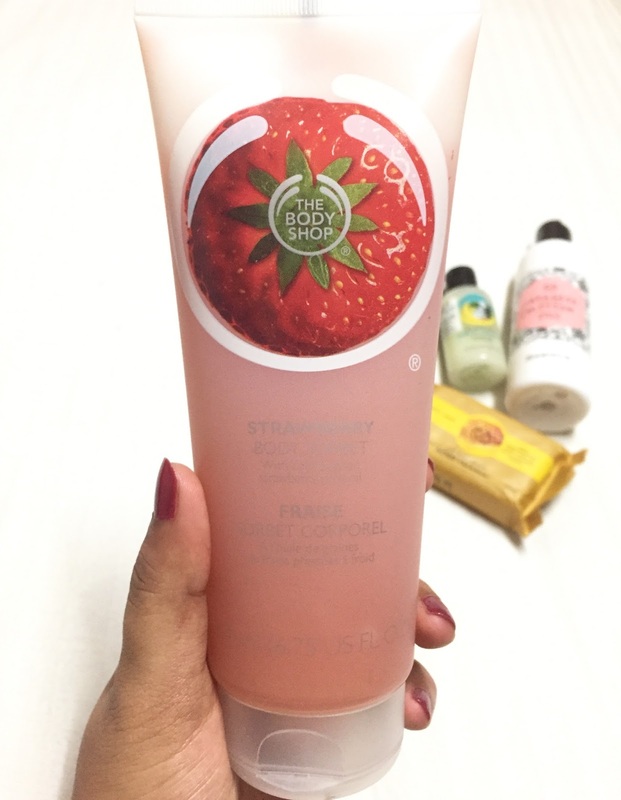 This Body sorbet is a cool moisturizer, infused with juicy strawberry scent! its breakthrough sorbet texture instantly melts into skin for a frosty burst of fresh moisture. Its very light and fast absorbing. Its divine fragrance smells of a field of strawberries. The Body Shop Frosted Berries Foaming Bath, Frosted Berries Body Butter. 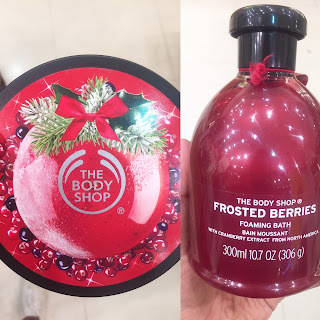 The Limited Edition Frosted Berries Bath Foam Balances fresh notes of cranberry, blackcurrant and raspberry with white flowers, creamy praline and sweet vanilla, this scent creates a blissful spa experience. The body butter is my most favorite it leaves skin smelling beautiful and feeling refreshed. The Body Shop Spiced Apple Shower Gel. 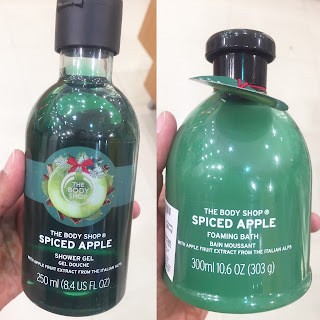 Spiced Apple Shower gel is also a limited edition range. This mouth-watering collection contains Alpine apple seed oil from green apples grown in the orchards of the Italian Alps, well known for its hydrating benefits to the skin. It smells heavenly. I personally adore such scents and it just refreshes up the mood, skin. Also the bathroom and loofah smells great forever. 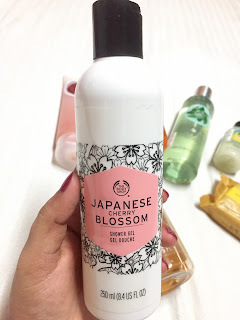 The Body Shop Japanese Cherry Blossom Shower Gel. Japanese cherry blossom extract traditionally renowned for its soothing properties and Community Trade organic honey soothes and moisturizes the skin. It smells very gentle and feels gentle on the skin . Also gives instant radiance and smoothness. I hope you enjoyed my review or found it somewhat helpful. you can find these products on the website or in the store. I would highly recommend The Body Shop Products. I have also tried their makeup range and they are amazing as well. Thank you for stopping by, Keep visiting. Hope you all are doing fine. 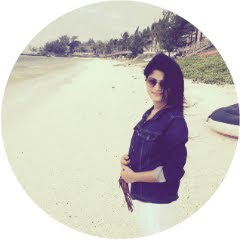 Today I have come up with a guest post written by PAROMITA SENGUPTA. I am a huge kurti addict. I do pair them in a lot of different ways and when it comes to Ritu Kumar How can I not get obsessed with it. Kurtis are something that works well with anybody be it an Indian girl or a foreigner. It has its own charm that attracts me to buy one. So below are some of the kurtis that will suit anybody and look exquisite. 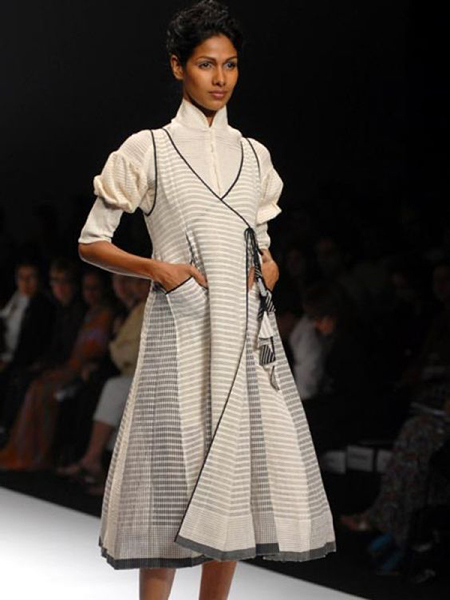 Monochrome in color, this plain long asymmetric kurti is showcasing a pretty galore. The ensemble is featuring an attached jacket as well. With small button placket, the dress is totally comfortable to go through with hectic 9 to 5 hours. Wear it as it is or catch out the look with style statement jewelry. 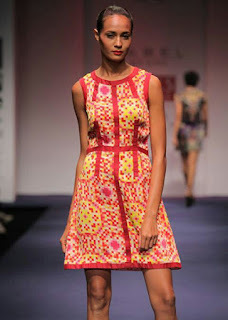 Short kurtis become sometime hectic because it gets really confusing what to complement with them or what not! But this one will go with any type of salwars, pants, denims or leggings. 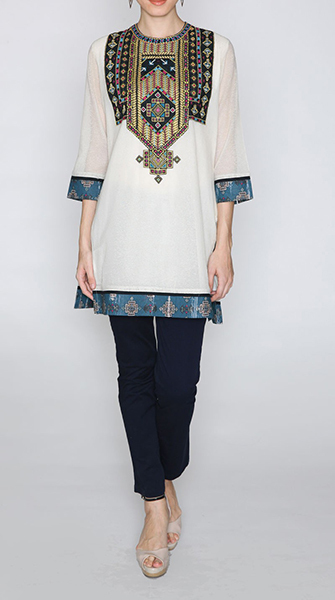 The kurti features amazing embroidered work at the neckline and sleeve ends. Strut on the road by wearing this set with stud earrings and strapped ballerinas. For a hectic day ahead, you need to have all essentials and a power pack of comfortable palazzos. Team up this pair of printed palazzos with same designer online kurti created by Ritu Kumar. Tie high bun and finish off your looks with catchy contemporary bangle and chic earrings. Keep up the whole attire simple and under light hues when wearing in summers and bright in winters. There are days such as Mondays and Fridays which are meant to be tagged as ‘super-boring’ and for those blue days, the designer has brought you this colorful mashup of contemporary kurti. Wear it as a mini dress or catch out the ethnic essence by pairing it with solid colored leggings and catchy earrings. The bright hues of this kurti totally resemble your zealous spirit. Pull out this designer Angrakha when you’re in your best bossy and creative mood. So, all the best to the rest of your accessories! Because you need to be really clever while teaming up accessories and jewelry in such kind of kurtis! The angrakha showcases light and dark striped patterns which is really scintillating and great for a calm day ahead. Pick out stone stud earring and pumps to rule the stage. I hope you find it useful, Also If you haven't seen my video where I have edged up kurtis in to an entire chic look. Click here to watch the video. Thank you for stopping by.